Just a quick post. I came home from a 10-day hospital stay yesterday, and my nerves are still a bit on edge. On a routine antenatal check up on 9th April, the doctor found my blood pressure alarmingly elevated and had me sent to the hospital by ambulance. 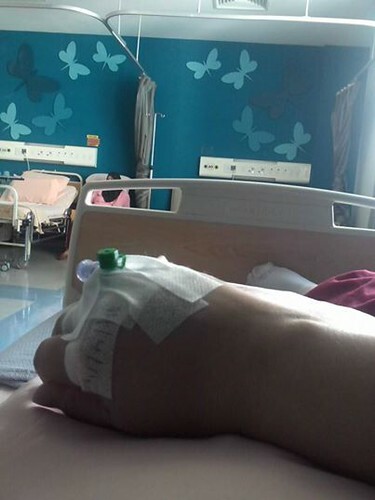 At PPUM, I was diagnosed with severe pre-eclampsia, which is what I had been dreading. 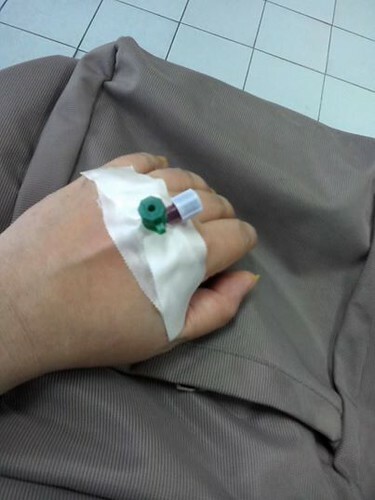 I won't go into details, but the hospital stay was a very trying and scary time. Rest assured, however, that the doctors and nurses there were very professional and kind. Waiting to be taken to the hospital by ambulance. The clinic stuck a line in my left hand. I am happy that the doctor allowed me to go home for the weekend and that I actually made it home this time. For now the medications are working and I hope I will not have to stay in the hospital again until the time my baby is ready to be delivered. I have a blood test on Monday and a detailed scan + doctor's appointment on Tuesday. I hope all will go well. According to my doctors, I will probably have to deliver my baby prematurely at 34 weeks, which is 3 weeks from now. Please help pray for our safety and that everything will go well. I've always loved the aloe vera plant, not only because it's such a hardy houseplant, but it's very useful too. For one, its anti-inflammatory and healing properties have been recognised around the world for thousands of years. And, did you know that aloe gel contains more than 75 nutrients and 200 active compounds including 20 minerals, 18 amino acids and 12 vitamins? That's why I keep a pot or two of it at home. Whenever anyone in the family experiences dry skin, sunburn or itching, I rub on some aloe vera gel to act as a soother. I even give myself an aloe vera gel facial once in a while to rejuvenate myself! Thanks to its well-known benefits, it's no wonder why aloe vera is often added to skincare products. 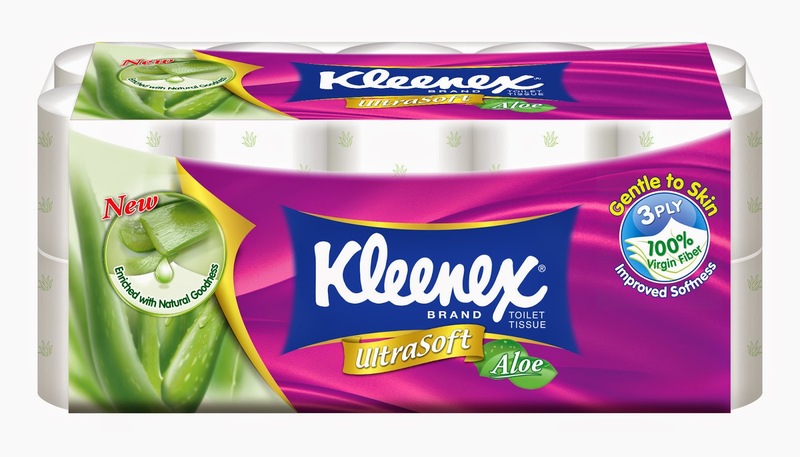 Now, however, the soothing properties of this amazing plant can be found in the New Kleenex Bath Tissues enriched with Aloe Vera! 1. It's very gentle - Even on sensitive skin (like my son Amir's). 2. It feels good - Thanks to its ultra softness. Hey, only the best for my family! 3. It's durable - I made a note to myself a long time ago that not all tissues are created equal. 4. It doesn't smell - It doesn't have that awful chemical or papery smell. 5. It looks great - Looks aren't everything, but hey, it helps! 6. It's hygienic - Enough said!